Late FALL still had that summer fun vibe–what’s on the horizon for 2019? See this covered stage, called SummerStage and a 100+ year-old smoke stack? This is the historic, newly-unveiled Golden Belt Campus in Durham, and a view you can’t see from Main Street. There are residential options, dozens of artist studios inside, Hi-Wire Brewing just opened, parking is plentiful and Cicely Mitchell of So When Do I Clap? is curating this stage next year! Diali Cissokho & Kaira Ba open for Weedie Braimah Wednesday, December 12. 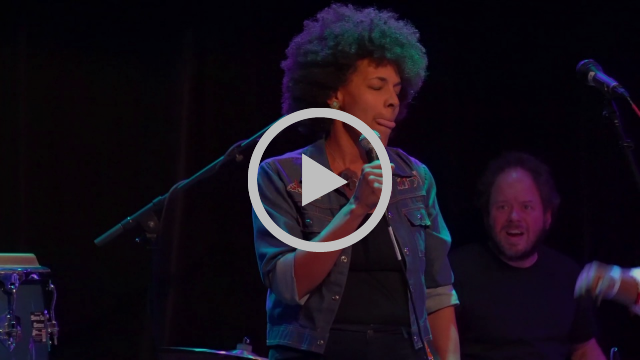 Click here for $15 tickets to this all-ages 8 p.m. show at Pinhook. 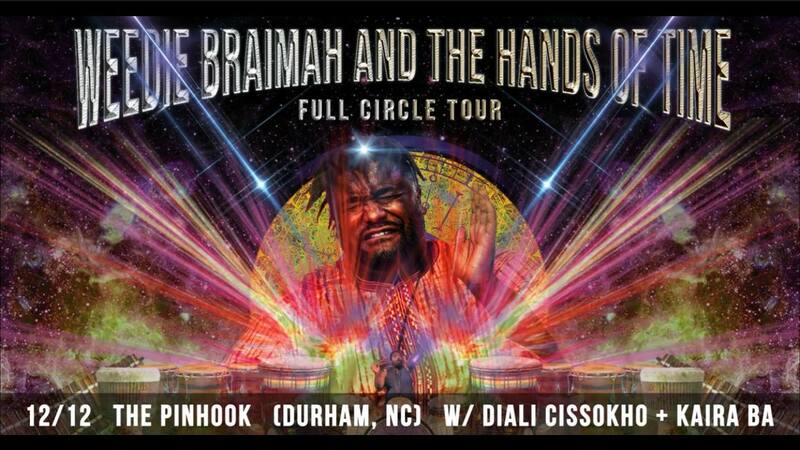 Braimah, a phenomenally talented and highly sought-after Djembe Fola whose vision is to build a reverence for folkloric West African music in hopes of it evolving and being placed in the world musical arenas of jazz, funk, fusion, world music, and hip-hop, is a new face of African percussion both nationally and internationally. Kaira Ba is also closing out 2018 with a BANG. 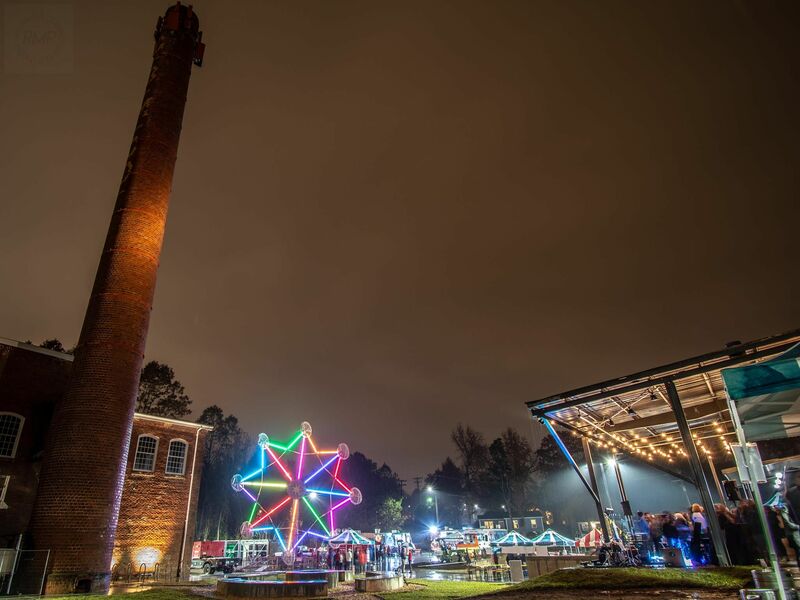 They’re playing both the early countdown and late night stage at First Night Raleigh, New Year’s Eve. Batalá Durham and Paperhand Puppet Intervention led a people’s parade on November 30 from American Tobacco to CCB Plaza to light a huge tree across from the Unscripted Hotel. 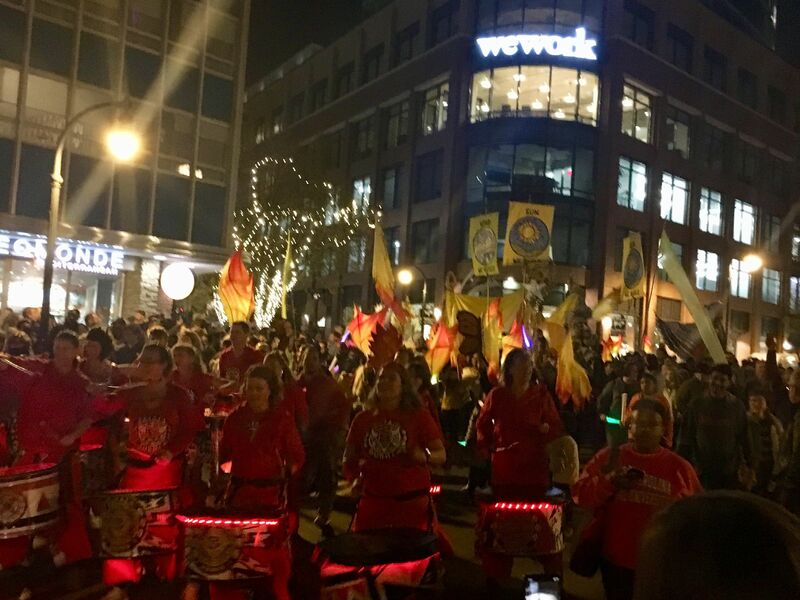 Downtown Durham Inc. contracted Sonic Pie Productions for a 2nd year, to curate talent, provide sound production services and assist with logistics. Shows we love/gossip/drink local: did you hear Sam Bush AND Taj Mahal are playing Isis Music Hall in West Asheville? (No, not the same night, silly) It’s a gorgeous, intimate venue. Do you like to “drink local”? 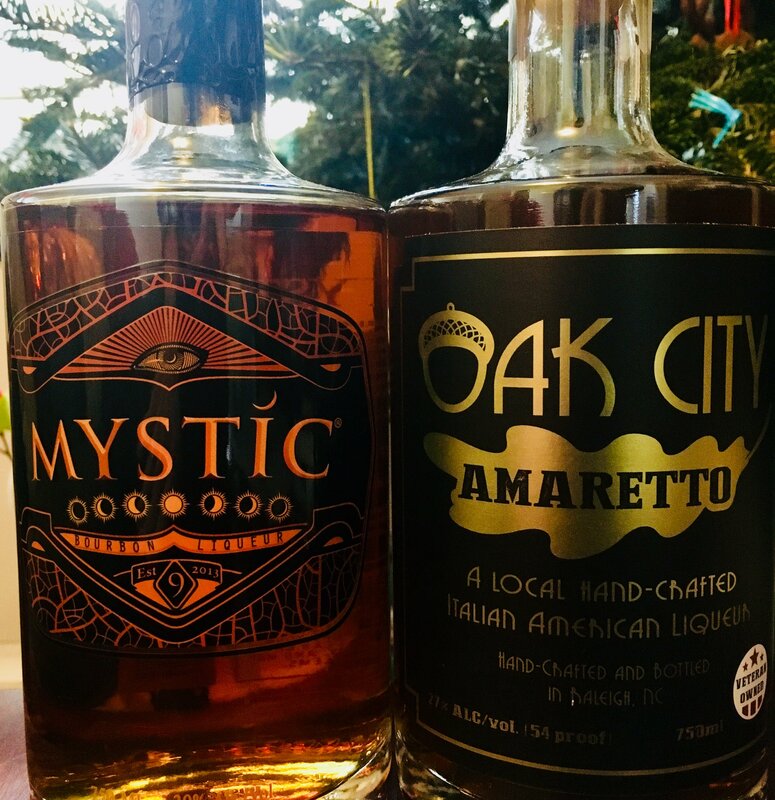 Have you tried Mystic bourbon or Oak City amarettoyet? They’re about $25 a bottle, Triangle-based, hand-crafted and SO good, especially on the 29 degree nights. 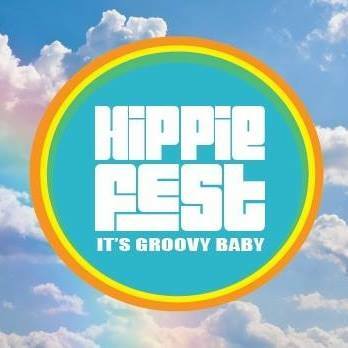 Sonic Pie Productions is THRILLED to have signed a 2nd-year sound production services/modular staging contract with Hippie Fest. We’ll be returning to Ohio, South Carolina and Salisbury, NC in 2019! 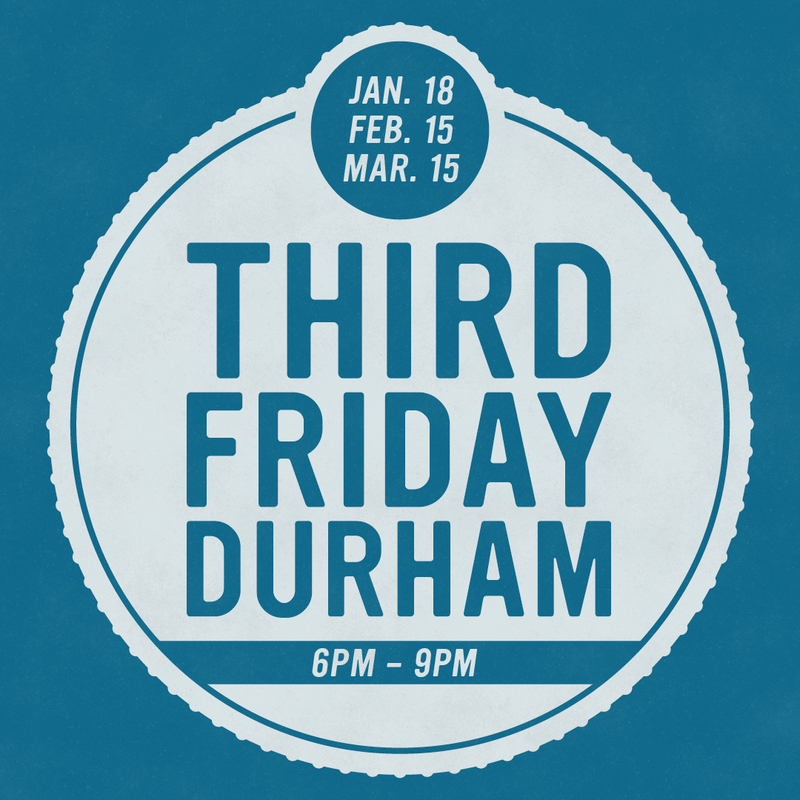 Third Friday Durham, Durham’s monthly “gallery crawl” continues with a winter branding for January-March 2019. THANK YOU, EVERYONE, FOR A GREAT 2018!